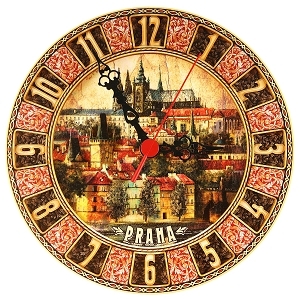 Ceramic stand featuring embossed picture of Prague Old Town Square skyline along with horse carriage standing in front of the Tyn Church. Can be put on any table or mantelpiece. Original authentic souvenir from Prague. Made in Czechia of non-glazed ceramic. Elaborated in high detail and fidelity. Hand painted.